Nope, not a black rescue kitten . . . yet. But I do have a name picked out, Cézanne. Like it? May I introduce you to two new adoptees, Minerva the turkey and Lou Lou the mountain lion. Le beau and I met Minerva during the stop at Farm Sanctuary on Tranquility Tour and promptly fell in love with this inquisitive, attention seeking bird full of personality. 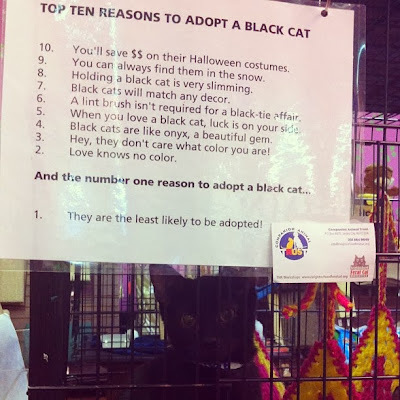 You, too, can adopt a turkey. Lou Lou was spotted in the Grand Canyon gift shop awaiting a new hOMe. We quickly scooped her up to bring back to Tranquil Space. 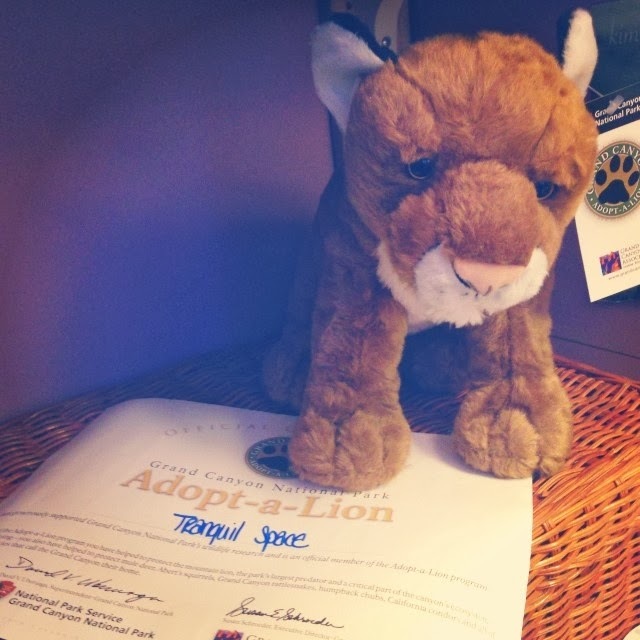 You, too, can adopt a lion and support the Grand Canyon. This adoption program has enabled the park to hire a wildlife specialist to monitor the roaming of three lions.